The sequels strike back on #FantasyMovieDraft this week! 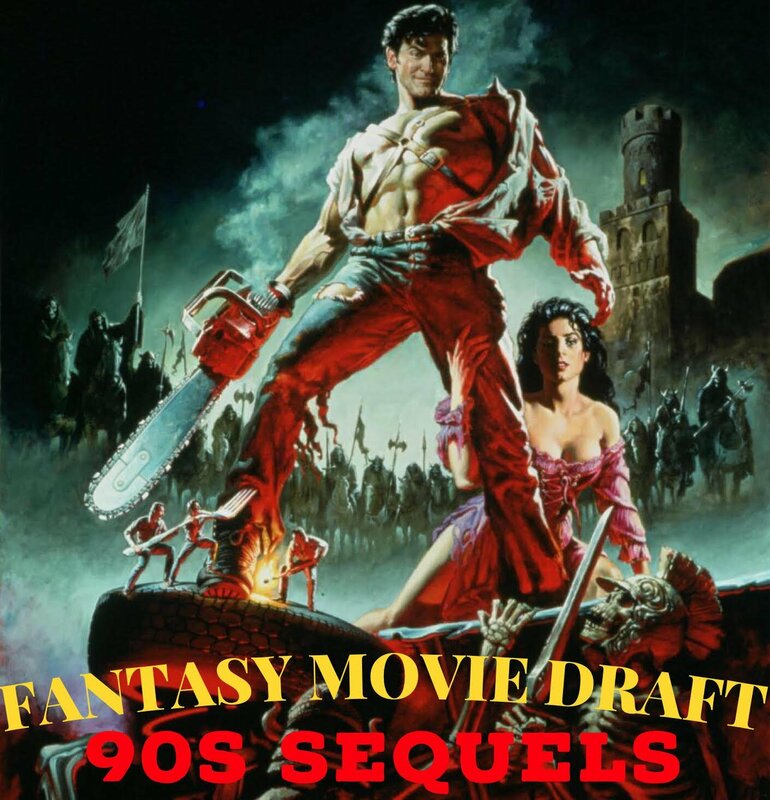 More specifically, we have 4 brand new drafters competing by drafting the best of the best film sequels of the 1990s! We've got Santiago from Weird With You, Chris from The Gravity Beard Podcast, Steve from Everything I Learned From Movies and Tom from Jake and Tom Conquer The World going toe to toe to toe to toe for their first draft victory! Who picks with their brains, who picks with their hearts and who picks for...family members?! Be sure to vote for your favorite team in our Twitter poll! Please check out our podcast on Facebook, follow us on Twitter @MovieGeekCast and find our pod and several other awesome ones like it on the PodFix Network! Subscribe and if you like us (like really like us), we'd appreciate it if you leave us a positive rating and review on Apple Podcasts! You can also email us any questions or comments to moviegeekcast (at) gmail (dot) com!